When he’s cooking in the wild, Elias Cairo, head salumist of Olympia Provisions in Portland, likes to make a hardier salad using ingredients that stay beautiful even if they get banged around a bit in the cooler. Seal fennel bulbs and fronds, parsley, almonds, and cheese airtight in separate containers and stash in a cooler. Trim and core fennel, then slice crosswise 1/4 in. thick. Finely chop fronds. In a medium bowl, using a fork or whisk, mix olive oil, lemon juice, mustard, and 1/2 tsp. salt. 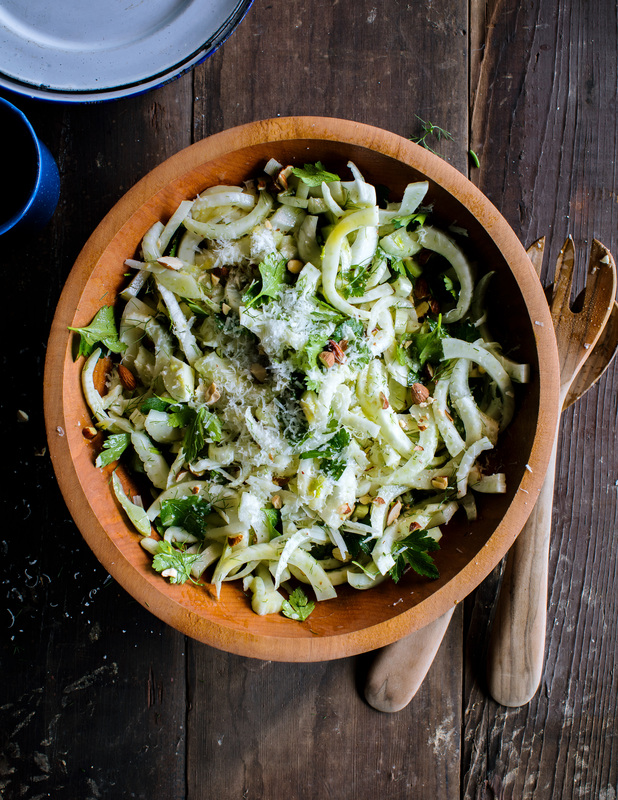 Add remaining ingredients except for pecorino on top and give it a quick toss. Add more salt to taste if you like.